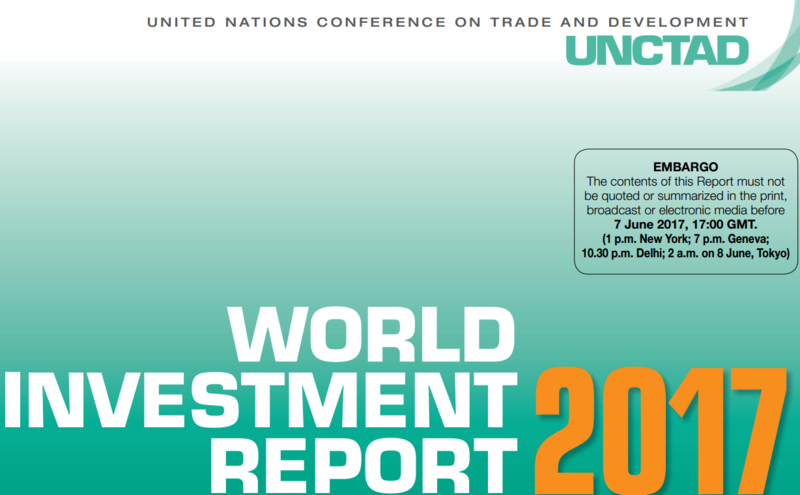 Brief：Last year, China became the second largest investing country, the United Nations Conference on Trade and Development (UNCTAD) said on its annual report on investment issued on Wednesday. Last year, China became the second largest investing country, the United Nations Conference on Trade and Development (UNCTAD) said on its annual report on investment issued on Wednesday. According to the World Investment Report 2017, foreign direct investment (FDI) outflows from China surged by 44 percent to 183 billion U.S. dollars amid weak economic growth and significant policy risks perceived by multinational enterprises. Flows to developing countries were especially hard hit, with a decline of 14 percent, while FDI outflows from developed countries decreased by 11 percent, mainly owing to a slump in investments from European multinational enterprises. The United States remained the largest recipient of FDI, attracting 391 billion U.S. dollars in inflows, followed by Britain with 254 billion U.S. dollars, and China with inflows of 134 billion U.S. dollars. The report predicted that the United States, China, and India are considered to be the most prospective destinations for FDI. In 2017, the global FDI is expected to rise by five percent to almost 1.8 trillion U.S. dollars, attributed to higher economic growth expectations across major regions, a resumption of growth in trade, and a recovery in corporate profits. The modest increase in FDI flows is expected to continue into 2018, taking flows to 1.85 trillion U.S. dollars, but still below the all-time peak of 1.9 trillion dollars in 2007, said the report.